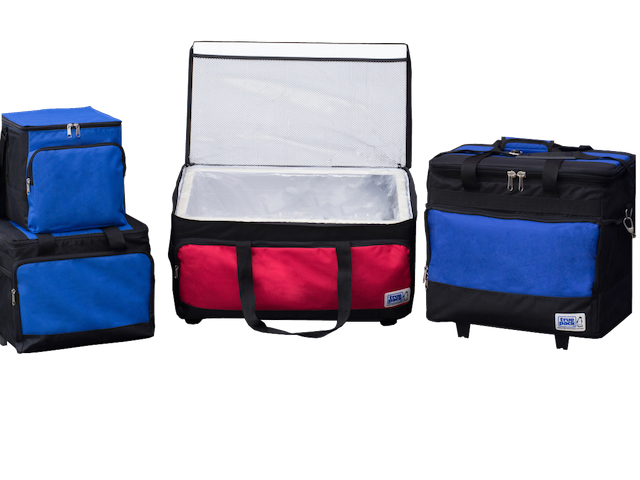 The majority of True Pack’s orders are our universal patented collapsible insulated shipping containers. 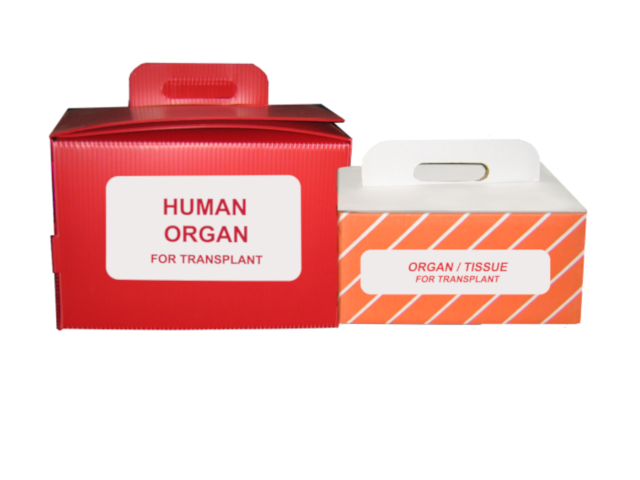 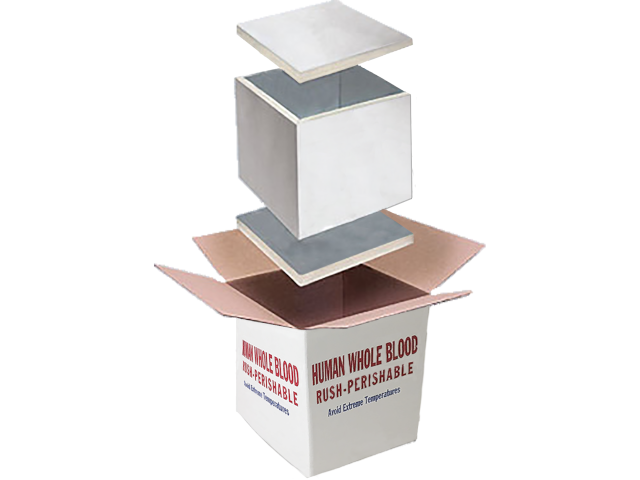 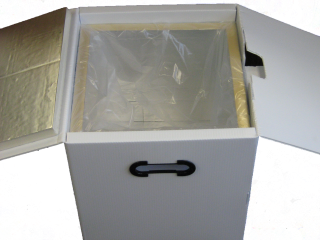 If there is a requirement for an item that is not our standard product we also offer custom designed containers cut to size to meet your needs. 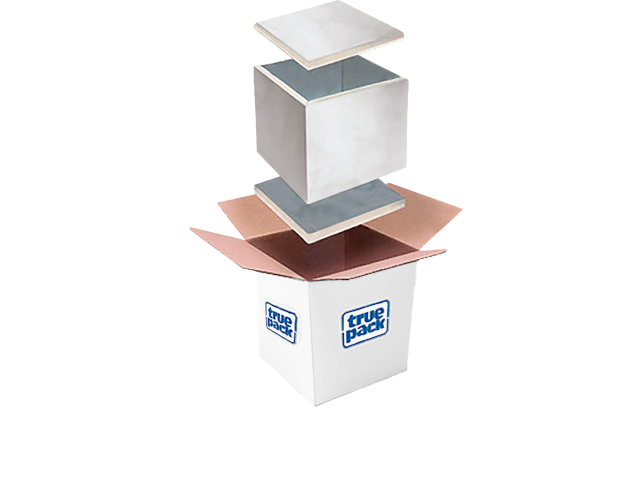 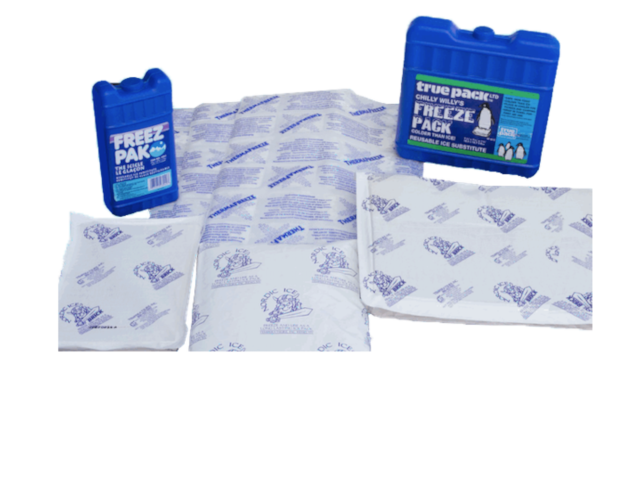 True Pack’s rigid CFC and HCFC-free polyisocyanurate foam with reflective foil facers are used as the core internal insulating system for all of our products. 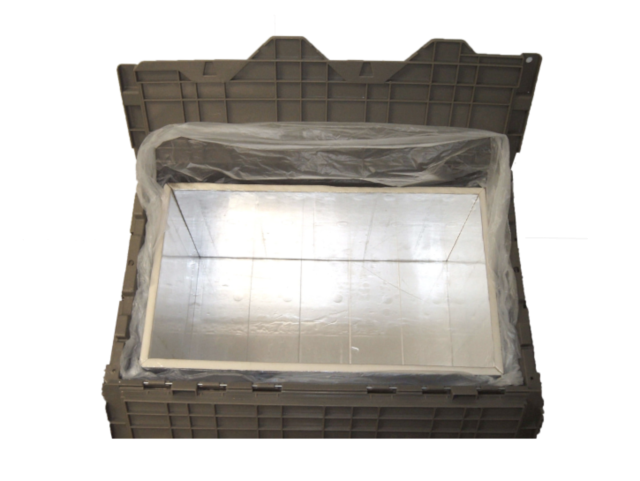 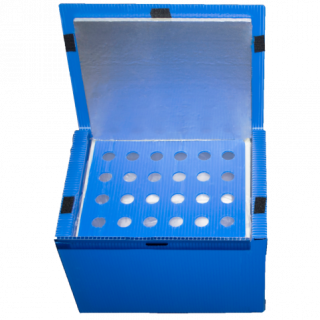 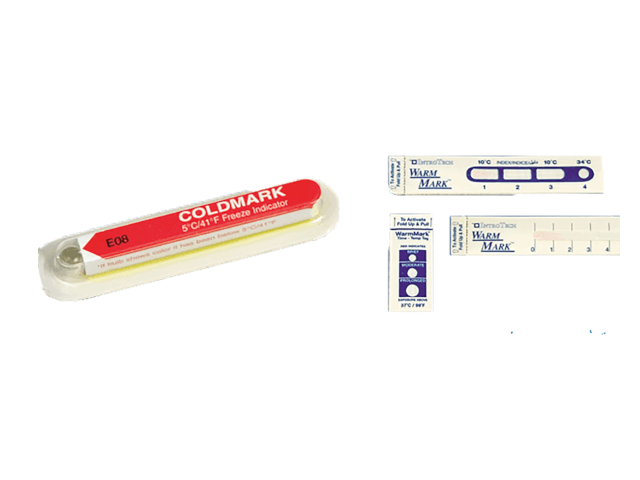 This patented system, with mitered sides and ends are hinged together and individually shrink-wrapped with FDA approved film, along with flush top and bottom panels. 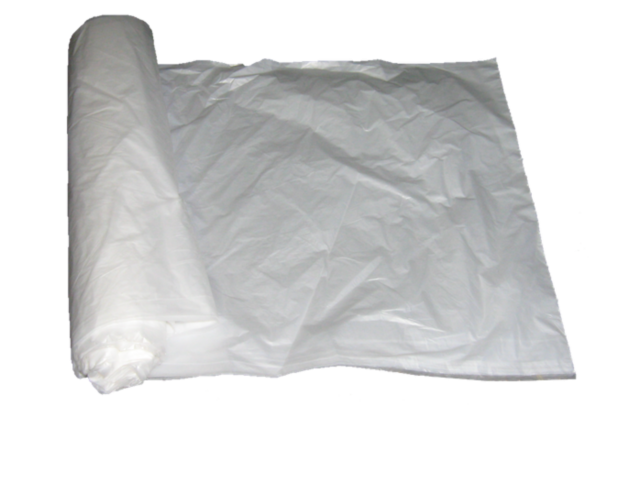 This provides cleanliness, thermal resistance and a durable inner structure. 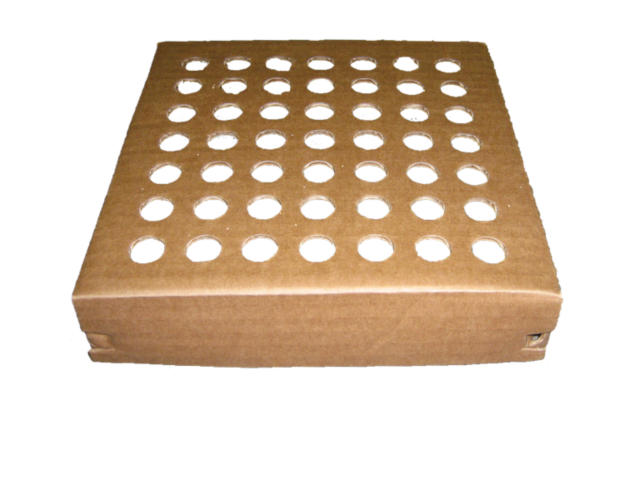 The outer shell can be corrugated fiberboard, corrugated plastic or a soft sided system. 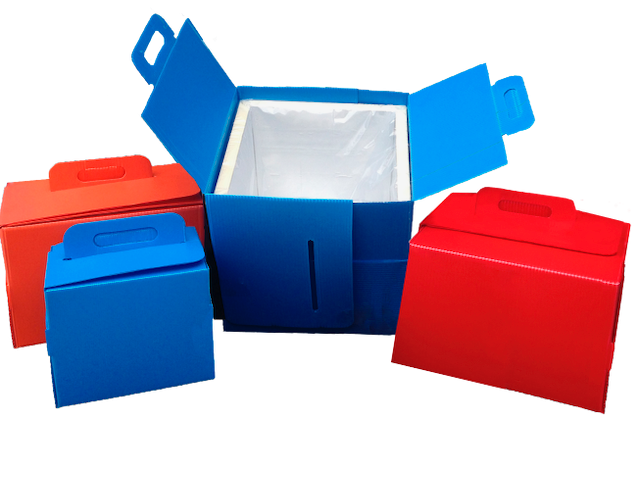 All containers are available with print, labels or embroidered logos. 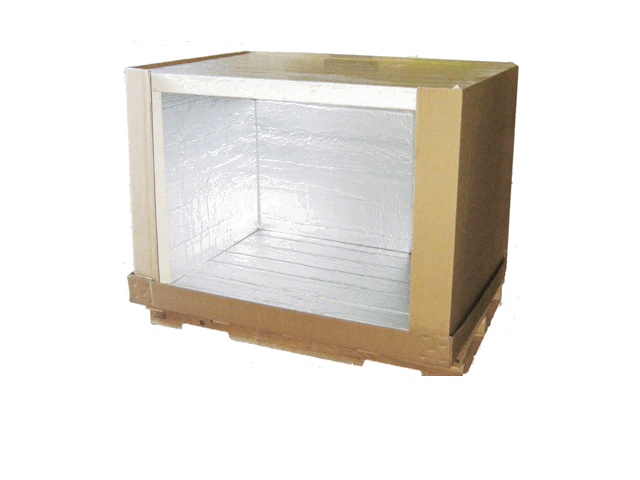 Also see Design and Qualification for more details. 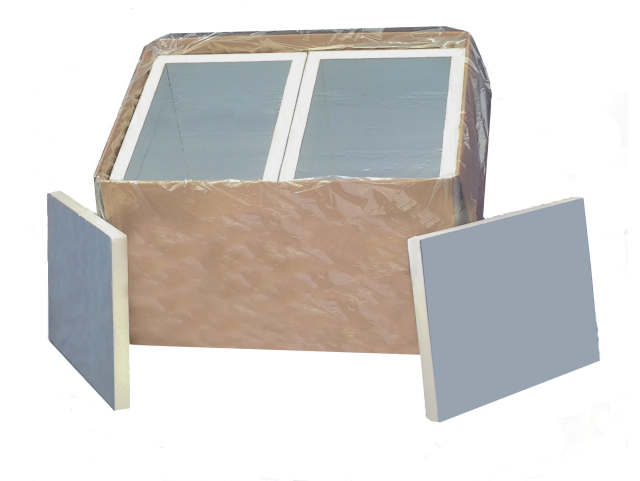 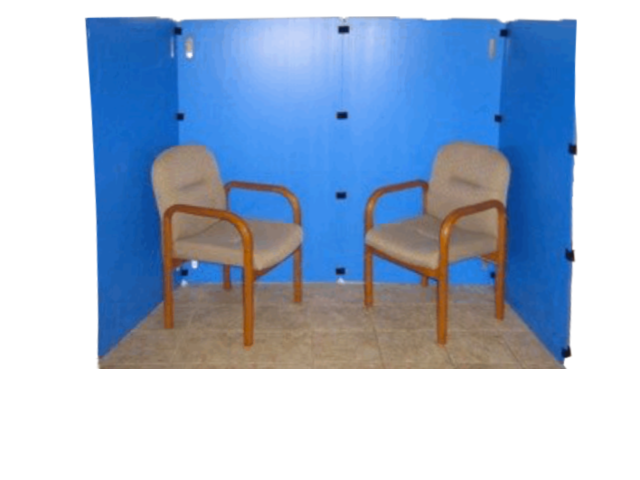 are hinged together and individually shrink wrapped with FDA approved film. 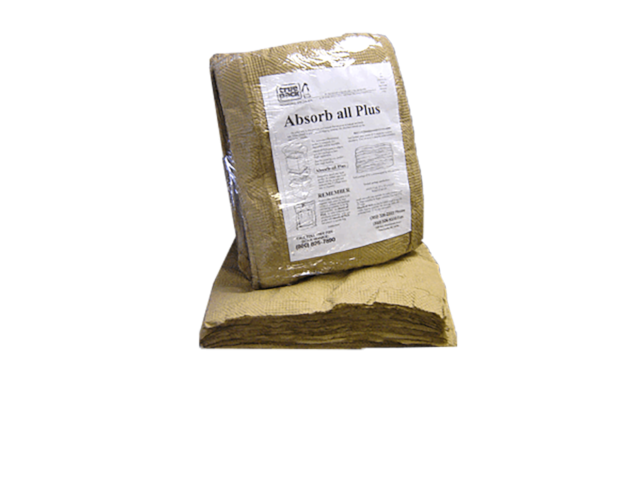 bulk packed on a pallet for either common carrier or air shipments. 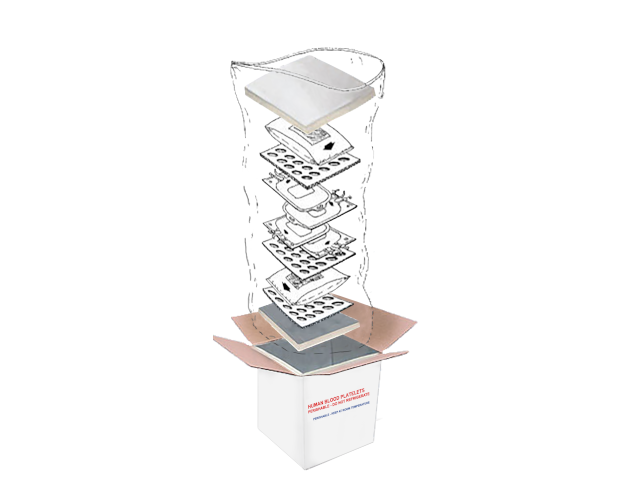 Recycle: We have several “green” programs that can fit your needs. 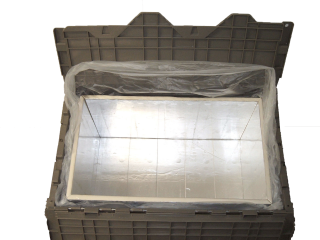 insulated systems are cut to size.